Nicole Candler, APR has nearly 20 years of public relations and marketing experience in the non-profit, corporate and government sectors. She has also provided marketing materials, media relations and communication strategy to regional hospitals, local and national nonprofit and national health insurance companies. Nicole is the Kentucky affiliate and president of PRConsultants Group (PRCG) – a national network for senior-level public relations practitioners representing every major media market in the United States. Her work for PRCG includes Tide, Duracell, Macy’s, Travelocity and Make-A-Wish Foundation. Nicole’s experience in the senior living and aging services industry include directing marketing strategy and tactics for more than 16 brands in Masonic Homes of Kentucky’s family of services. She has set overall communications strategy and messaging while managing ongoing project tasks including a company newsletters and correspondence, advertising design and placement, employee relations, social media and operational materials such as regulatory documents, resident handbooks and dining menus. She has initiated and executed special projects such as rebuilding employee Intranet site and gaining national trade exposure for the organization’s 150th Anniversary. Armed with an MBA and a multitude of media relations experience, Nicole Candler launched Nic Creative Public Relations in 2006. As owner of the strategic communications consulting firm, she has provided marketing materials, media relations direction and communication strategy to regional hospitals, local and national nonprofits, senior living communities and national health insurance companies. Prior to Nic Creative, Nicole worked for a small firm that offered communications consulting for Louisville’s Metropolitan Sewer District (MSD) and many of the organization’s vendor partners. Her work included MSD’s monthly customer newsletter, neighbor notifications and facilitating public meetings to educate stakeholders about infrastructure improvements as part of the federal consent decree. The firm also served Kosair Charities, one of Louisville’s largest non-profit agencies. Many of these client relationships continued with Nic Creative Public Relations. Nicole also was the marketing and communications manager for the American Cancer Society’s Kentucky ACTION and Smoke Free Louisville initiatives, she led communication and media relations for special interest campaigns, helping to create smoke-free workplaces and increase the tobacco excise tax. In a fundraising and marketing role with The Leukemia & Lymphoma Society, she developed and coordinated special events and promotions while also adding a quarter of a million dollars to the organization’s annual revenue. 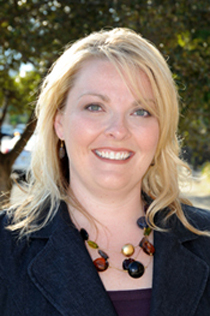 Nicole is a member of the Public Relations Society of America and served on the Board of Directors for six years and as PRSA Bluegrass Chapter president in 2007. She also served on the Executive Committee of the national Independent Practitioner’s Alliance for three years. She was made a Kentucky Colonel in 2014 and Leadership Louisville Bingham Fellow in 2015. She was named among Business First Forty Under 40 for contributions to the Louisville business community and named among the Louisville Advertising Federation’s Hot 10. She earned a bachelor’s degree in public relations from Eastern Kentucky University, and a master’s degree in business administration from University of Louisville. Nicole received Accreditation in Public Relations from the Universal Accreditation Board in 2008 and volunteers as a national facilitator for APR candidates. Developed a more aggressive social media engagement including digital advertising – an approach most market competitors have not utilized. Reduced production costs of the employee newsletter and moved it to an electronic form and increased the newsletter open rate by 15% in the first six months. Elevated and differentiated MHKY and its service brands to become a recognized leader in a crowded market of senior living and health care services. Supported the opening of a new product line by creating operational and sales materials, planned grand opening and sales events, and directed a new website with photography of the existing community. As a result, the 121 units in the original development were sold in less than one year and filled within four months of opening. An expansion that ads 30 more units was sold out in three months. Ready to Put Nic Creative to Work for You? Call 502.550.0252 or email us and let’s discuss your objectives and how to achieve them.